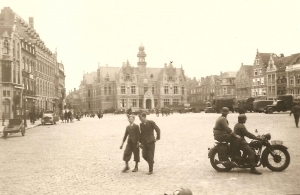 From 1914 until 1918 region Westhoek (which Ypres is part of) was the scene of the Great War. This conflict involved all of the world great powers. The US 27th and 30th Infantry Divisions in the Ypres Salient.